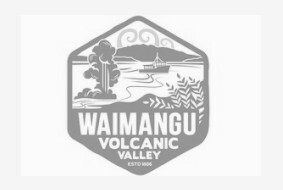 Explore the geothermal landscape of Waimangu at your own pace on a self-guided walk or hike. Discover the world’s youngest geothermal site with lush valleys, native flora and fauna, hot springs and more. Wheelchair access to valley walk is only possible for those visitors who can move or be moved in and out of their wheelchair for negotiating bus steps. Our shuttle buses do not have wheelchair lifts. People in wheelchairs must be accompanied by competent helpers. Contact Waimangu for further details on specific arrangements. English-Speaking guides are available for group tours of 10 or more passengers. Pre-booking necessary (72 hours minimum). Additional charges apply for our guiding service. At Waimangu Volcanic Valley we recognise that many of our visitors do not speak English as a first language. Accordingly, all visitor guide material for valley walks and boat cruises are printed in the following languages: Dutch, German, Chinese, English, Italian, Japanese, Hebrew, Russian, Korean, Mandarin, French, Spanish, Portuguese, Hindi and Slav. We also have basic fact sheets in Czech, Hungarian and Swedish. Cruise the tranquil waters of Lake Rotomahana and discover the history of the Mount Tarawera eruption while seeing thermal activity not accessible by foot. Your online booking time is your check in time at Waimangu Reception. You will then take the free bus to the lake for your boat cruise. Your online booking time is your arrival time at Waimangu Reception. You will then take the free bus down to the lake for the Boat Cruise on Lake Rotomahana. Wheelchair access is limited and is only possible for those visitors who can move or be moved in and out of their wheelchair for negotiating bus steps, jetty steps and boat steps. Our shuttle buses do not have wheelchair lifts. People in wheelchairs must be accompanied by competent helpers. Contact Waimangu for further details on specific arrangements. Combine a self guided walk with a boat cruise to see the best of Waimangu Volcanic Valley. Discover incredible geothermal landscapes and some astounding sights that are only accessible by boat. Your online booking time is your arrival time at Waimangu Reception. This gives you time to do the self-guided walk or hike before your boat cruise departure time. Wheelchair access is limited.Access to the valley and boat is only possible for those visitors who can move or be moved in and out of their wheelchair for negotiating bus steps, jetty steps and boat steps. Our shuttle buses do not have wheelchair lifts. People in wheelchairs must be accompanied by competent helpers. Contact Waimangu for further details on specific arrangements. English-Speaking guides are available for group tours of 10 or more passengers. Pre-booking necessary (24 hours minimum). Please check with Waimangu for guide rates for groups of under 10 passengers.